Global mining giant Rio Tinto (LON:RIO) said Tuesday that it will invest $660 million to extend the life of its Bingham Canyon copper mine in Utah, USA, to 2029. In a statement, the miner said the additional spending over seven years will allow average annual production of 180,000 metric tons of copper, 185,000 ounces of gold and 13,800 tons of molybdenum from 2019 to 2029. Rio Tinto Copper's Chief Executive, Andrew Harding, said the investment will secure low cost copper, gold and molybdenum production for the company in next two decades. Harding added the company continues to evaluate underground options that will further extend the life of the mine, which has already been in operation for over 100 years. 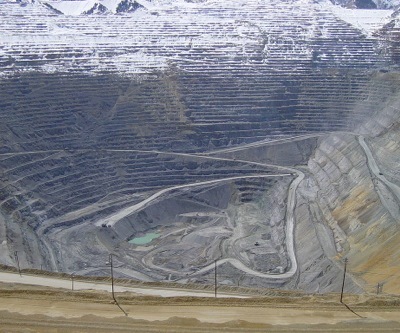 The Bingham Canyon Mine, also known as the Kennecott Copper Mine, is located southwest of Salt Lake City. According to estimates, the area may hold about $5 billion worth of copper.